Constable Allen was shot in the street at Bondi Junction while attempting to detain an armed, deranged man named Kennedy who had earlier had an altercation with a local shopkeeper. The constable had been directing traffic and when informed of the dispute he found and confronted the offender. As he approached Kennedy from behind, the man spun around and shot Constable Allen in the chest at point blank range. He then shot the constable twice more in the heart. 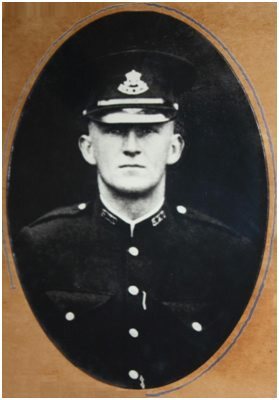 At this time Constable Andrews – unarmed, off duty and heading for the beach – passed by in a tram and saw a crowd gathered around the body of Constable Allen. Alighting from the tram he joined in the pursuit of Kennedy who managed to reach his home in nearby Lawson Street. On arriving and finding the front door locked Constable Andrews went to the rear of the dwelling and burst through the back door. Unfortunately Kennedy was waiting with rifle raised and as Andrews lunged at him he shot him twice in the chest. He then took a knife and stabbed the constable in the throat. Sergeant Seery and Constable Johnson from Waverley Police then arrived and began to smash their way in through the front door. Although fired at by Kennedy, Constable Johnson returned fire, hitting Kennedy in the chest. Seery and Johnson then smashed their way in and found the offender in a bedroom bleeding to death. He died that night. In the aftermath of the murders, the Brisbane Courier dated 5 January, 1931 published a complete account of the entire incident, and concluded with the following. 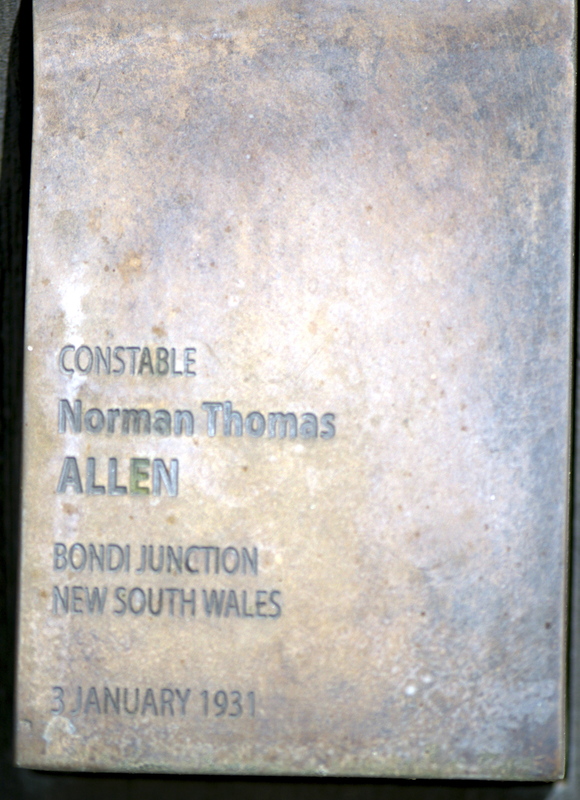 Constable Norman Thomas ALLEN was born in 1901, joined the New South Wales Police Force on 14 May, 1926 and shortly thereafter resigned. He rejoined on 26 September, 1928. At the time of his death he was stationed at Waverley. 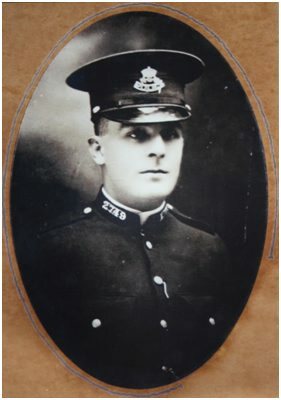 Constable Ernest ANDREWS was born in 1908 and joined the New South Wales Police Force on 24 April, 1929. At the time of his death he was stationed at George Street North Police Station. The State paid homage yesterday to the two policemen, Constable Norman Thomas Allen and Constable Ernest Andrews who met their death at the hands of a madman at Bondi Junction on Saturday. There were mourners from almost every part of New South Wales. Many thousands lined the route as the funeral cortege moved from Wood Coffill’s funeral parlours George-street to the mortuary station; the mortuary platform was thronged when the funeral train moved off to Rookwood and thousands had assembled in the cemetery. The scene in the vicinity of Wood Coffill’s funeral parlours is likely to be remembered by the thousands of people who thronged the streets leading into Railway-square. Early in the morning bearers of wreaths and floral tributes passed through the doors to deposit their tokens of sympathy. At the approach of noon people began to assemble on the footpath and many entered the chapel to view the coffins. The near relatives arrived at 1 o’clock and the chapel was cleared while Constable Allen’s widow and her mother approached the silver mounted caskets which rested on trestles side by side. An affecting scene followed. Then the simple Church of England burial service was conducted by the Rev Frederick Riley and the coffins were borne to the waiting hearses. The scene was unforgettable. A solid mass of people crowded the thoroughfares. Presently the mounted troopers urged their restive horses forward and with the deep roll of muffled drums the cortege moved off. Thousands of hats were removed. Handel’s Dead March in “Saul” was played by the Police Band. Behind the band came a contingent of foot police under the direction of Superintendent Leary. Two hundred men drawn from the various stations, marched behind. 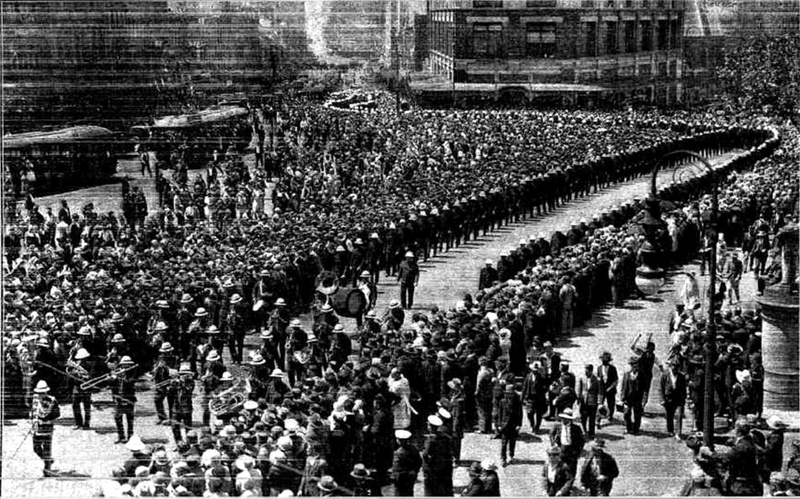 Then came the hearses, the wreath-laden carriages, and the chief mourners, Firemen, the sun glinting on brightly-polished helmets, were represented by over 40 uniformed officers and men. At the end of the slow-moving procession came numbers of retired men, friends of the dead officers, and business people from the eastern suburbs. Along the route to the mortuary thousands stood bareheaded as the cortege passed. At the mortuary gates another huge crowd paid tribute to the dead men. Among those who marched in addition to the police and firemen, were employees of motor bus companies in the eastern suburbs. A most affecting scene at the graveside in the Church of England section of the Rookwood Cemetery was the playing by the police band of the hymns “Lead Kindly Light” and “Abide With Me.” The remains were buried side by side. At the Burwood Police Court yesterday Mr. G. R. Williams, S.M. commented on the bravery of the two constables. They acted nobly and upheld the traditions of the force,” he said. The pall bearers were.- For late Constable Allen: Constables Tomkins, Martin, Moore, Hudson, Steele and White. For late Constable Andrews: Constables Booth, Kimber, Fraser, O’Neill, Morgan, and Wright. The principal mourners were Relatives of the late Constable Allen: Mrs Allen (widow), Mrs Prankish (mother-in-law), Mr and Mrs N. Frankish (brother In law and sister in law), Mr and Mrs Sutcliffe (uncle and aunt) Mrs Lamb, Mrs Hourigan, and Mrs Cummings (aunts) and Mr Rowland Allen (cousin). Relatives of the late Constable Andrews: Mr and Mrs Edward Clarke (sister and brother in law). The Government was represented by Mr Gosling (Chief Secretary) and Mr McKell (Minister for local Government). Police representatives in addition to the non commissioned officers and men who marched were Mr W H Childs (Commissioner) Superintendents Leary, Mackay and Linegar, Inspectors Winter, Weir, Bennetts, McCauley, Woodrow, Lynch, Duffell, Roberts, McMaster, O’Brien, Chaseling, Anderson, White, Long, Roser, Scott, Michaelis, Robson, Allen, Farley and Fowler. Retired members of the police force who attended were ex-Commissioner James Mitchell, ex-Superintendents Roche, Cook, McIntosh, Sinclair, Thom, Drew and Park, ex Inspectors Fullerton, W J Jones (also representing the Navy and Army Veterans Association) Fraser, Tracey, Bolton, Smith, Fewster, Doran, Mankletow, Stutchbury, Briggs, Ewen, Dunn, O’Dea and Robertson, ex-Sergeants McDonald, T. Dobson, Payne, A. Smith, Taylor, J. Salmon, J. Loomes, R. C. Harper, Bath and Butcher, ex-Constables Swan and Dixon. The Board of Fire Commissioners of New South Wales was represented by Mr T J Smith, M.L.C. (president) Mr J McNamara (Commissioner), and Mr H M Webb (secretary and executive officer). Mr Nance chief officer New South Wales Fire Brigades was present and 38 men marched under Mr Grimmond (deputy chief officer). Inspector Neeve, District Officer McLachlan, and Station Officers Arthur, Neville, Parkes, McCarthy, Rust, Currier and Sclater. Others who attended were:- Judge Sheridan, Mir George Cann, ex M.L.A., Mr J Herlihy ( Under-Secretary for Lands) representatives of the Prisons Department including Mr Seery (superintendent of the Long Bay Penitentiary) Mr T.W. Irish (Assistant Under Secretary for Lands) Mr H. B. Mathews, (Surveyor General Department of Lands). M.L.A., Mr A J Pollack, M.L.A., Mr W P Monaghan (Waverley Cemetery bus service), Mr W M Niland Mrs A Shuttleworth, Mr H L Harnett (representing Mr F M Burke, Speaker of the Legislative Assembly), Mr W E Clapin (representing Sir John Peden, President of the Legislative Council), Alderman David Hunter (Mayor of Waverley), Mr T J Thompson (Deputy Town Clerk of Waverley), Mr and Mrs A Williams, Miss Williams, Miss Beryl Williams, Miss Brady, Mr and Mrs McMorland, ex Warder Charles Stone, ex Warder Little and a number of eastern suburbs business people. The wreaths Included those from the mother and other relatives of the late Constable Allen, relatives of the late Constable Andrews, the New South Wales Police Commissioned Officers Association, comrades of No 2 Division, Redfern Police, New South Wales Police Association, members of the Railway Detective Office, officers, detectives, and staff of the C.I.B., No 3 Police, comrades of No. 10 Division, cyclists and drivers of police headquarters, officers and men of Circular Quay Fire Station, comrades at No. 4 Station, police at No 7 Station, “police pals at Bondi Junction.” end eastern suburbs bus drivers and conductors.